Para contributed a Distance Sudoku on Saturday, that went really well for me :p After that, earlier today/yesterday depending on the part of the world you’re in, Seungjae Kwak (Kwaka) contributed a Quadruple Sudoku, that can be found on facebook here. 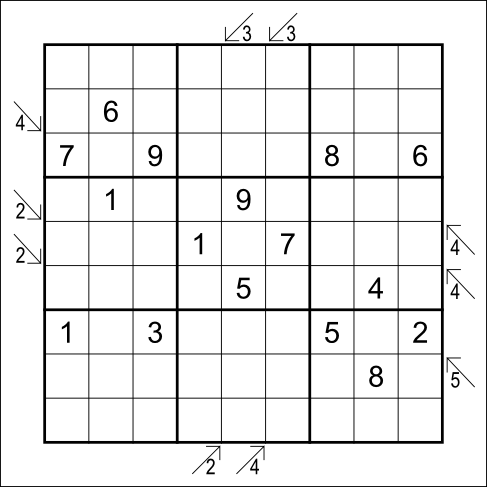 Fred Stalder has just told me he will soon be posting his Monday contribution for Week 3, a Killer Sudoku. Check for that sometime later today too. I think both of these are of a medium difficulty. I’m a fan of Diagonal variants in general, and I was adamant for there to be a LITS variant here just like I was with the Snake variant. 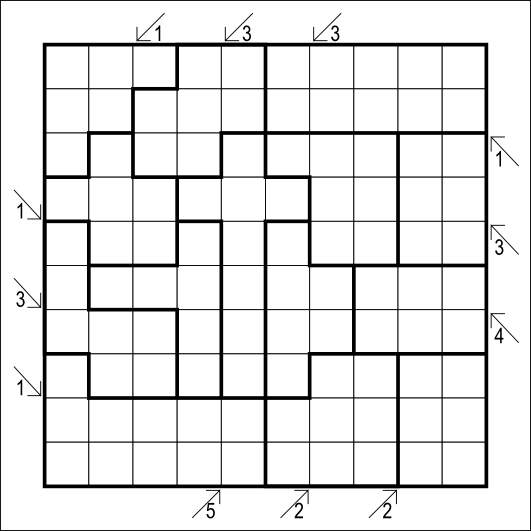 For 274 : Follow regular Sudoku rules. Additionally, the clues outside show the number of different digits in that direction. For 275 : Follow regular LITS rules. Additionally, the clues outside show the number of shaded cells in that direction.